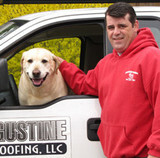 Fairfax County's Dedicated Roofing & Gutters Pros - Best of Houzz! 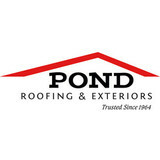 Our family-owned business has been roofing Washington, DC area homes and businesses for 25 years, providing high quality products and dependable, professional installation. We also provide services such as siding, window and door replacement, gutters, skylights and more. Style Roofing knows one of your biggest investments is your home. We also know that it can be intimidating selecting one of many Northern Virginia Roofers. We stand behind our positive reviews on all major review websites. We are the leading Northern Virginia roofing contractor for a reason, we do quality work at a fair price. We are a family owned & operated business. Our trade has been passed down three generations.Our work ethic was instilled in us by our father & grandfather. We learned early on the value of honest work at a fair price. This work ethic has made us the leading Roofers In Northern Virginia! 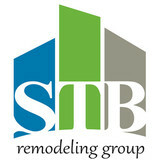 Gutterman Services Inc. Northern Virginia, Metro DC & suburban Maryland's premier exterior remodeling specialists. We can install complete exterior renovations including, Roofing, Gutters, Siding, Trim, Door, Window, Decking and Patio projects for your home or commercial building. Our Service Division provides the continuing maintenance for the projects we install. We are proud of the beautiful work we create and can say it is our business to make "clients for life". What do roofing companies in Centreville, VA do? Your Centreville, VA roofing contractor can install a new roof or repair an old one, as well as repair and replace gutters. Good roofers in Centreville, VA should be able to promptly inspect roofs and gutters to assess damage after a natural disaster or other event, and give you an estimate for the necessary roof repair immediately. Some Centreville roofing companies specialize in specific types of roofs, such as tile or metal, so make sure the one you are interested in works with the materials you have or desire. 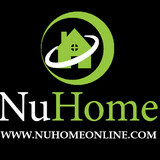 Find a Centreville roofer on Houzz. Narrow your search in the Professionals section of the website to roofing companies in Centreville, VA. If you’re planning a large-scale project, find other professionals on Houzz who can help get the job done. Here are some related professionals and vendors to complement the work of roofing & gutters: General Contractors, Specialty Contractors, Siding & Exteriors, Door Sales & Installation, Garage Door Sales & Installation.